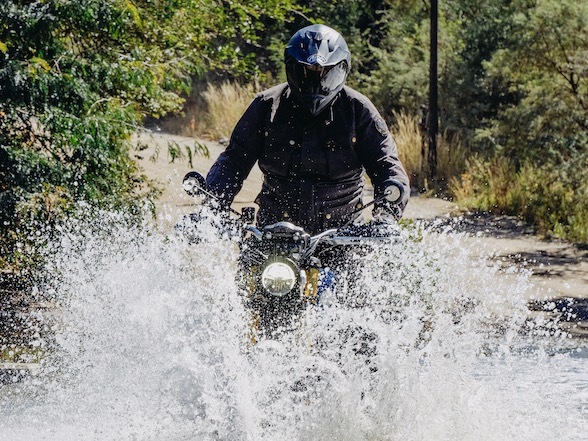 You could argue that the traditional large touring bike has become increasingly redundant in recent times with the rise of the adventure bike and the more road-oriented models of that class. 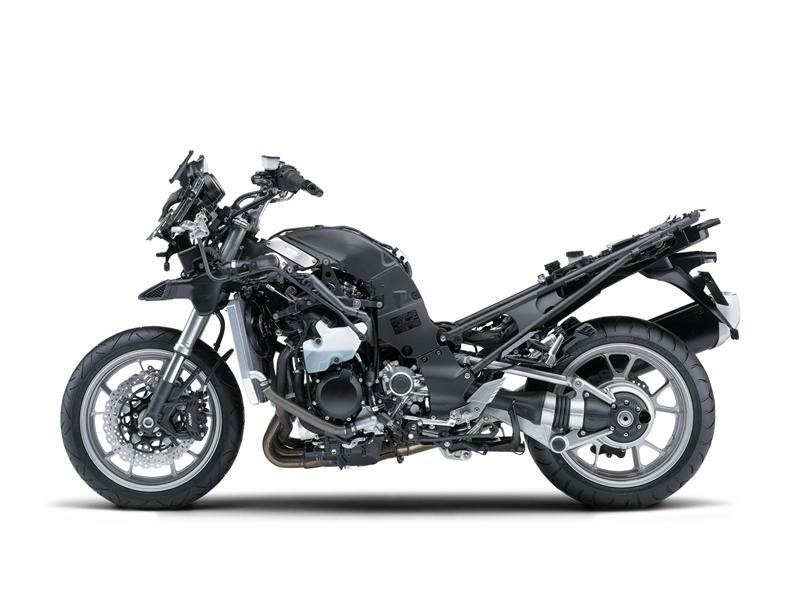 BMW’s S1000XR and Ducati’s Multistrada spring immediately to mind as examples of these; bikes that have massive mile-eating capability, combining comfort, wind protection and impressive dynamics. And yet, the touring bike as a class continues to thrive, with bikes from pretty much every major manufacturer and, despite the challenge from the adventure bike class, they are still very relevant when long distances are to be tackled in maximum comfort. 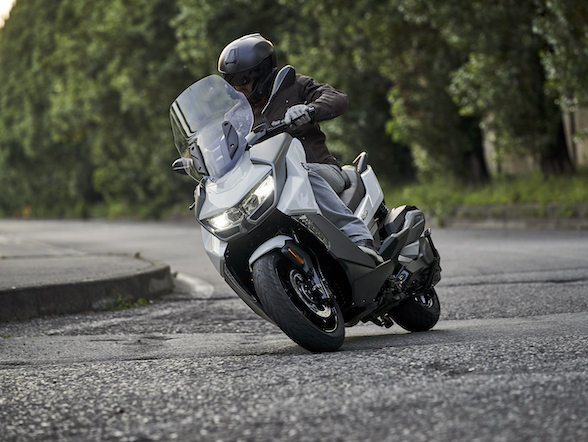 Late last year, we were massively impressed by the big BMW K-series of touring bikes. 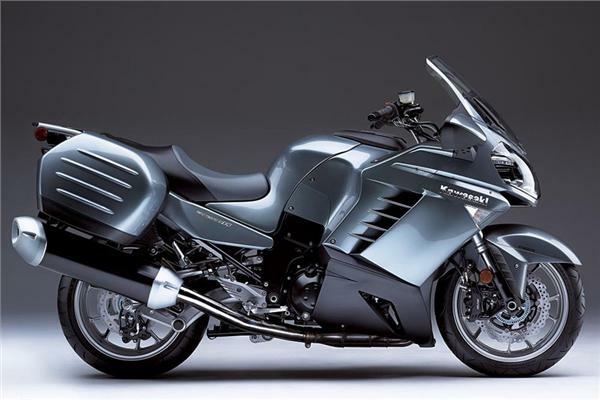 To start this year off, here’s something completely different but exactly the same; Kawasaki’s 1400GTR. Designed to fulfil the same role as the BMW but that’s where the similarity ends; they couldn’t be more different in style and execution. If I’m honest, this bike is a bit of a dinosaur. It is a big capacity Japanese bruiser just like they have always built; this is a proper old-school bike, not retro but old school, in that it’s fairly simple. There is a distinct lack of anything approaching electronic sophistication; it’s just a big lump of power in a chassis with comfort ladled over the top. At its heart, the 1400GTR has an in-line, four-cylinder engine of 1352cc, developing 152bhp and 136Nm of torque driving the rear wheel via a shaft. The power comes in like a turbine, seemingly endless, always there when you need it. It’s not fantastically smooth; it can feel a little harsh at times and always makes its presence felt but it is that type of engine that the Japanese have been making for ever; large, powerful, unstressed and probably bulletproof. 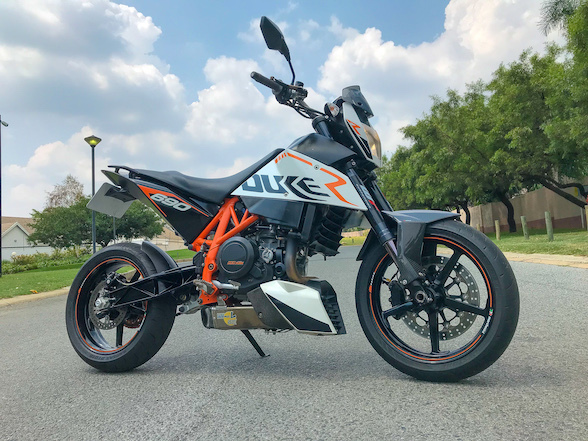 The gearbox is, surprisingly for a shaft drive bike, very light and positive and 6th gear is called overdrive on the dash display and reduces engine speed by 1000rpm over 5th gear when cruising on the highway. 120km/h is taken at a relaxing 3000rpm. 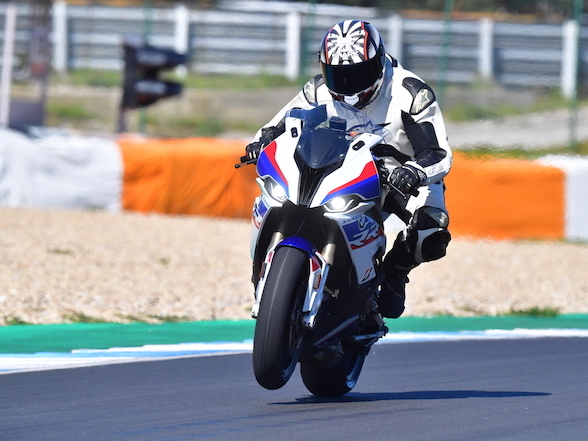 The brakes are very powerful although I really didn’t like the linked brakes via the rear brake pedal; the action bringing in the front brake was too sudden and caused the pillion to lurch forward just when you should be trying to keep things smooth. It’s hard to define, but there is an old-fashioned feel to the whole riding experience; the suspension is firm but fussy over bad surfaces. In a straight line, it is supremely stable but the trade-off is a need to really muscle it into a corner. Once on a line, the front feels supremely positive and planted and it stay on the chosen line until you tell it to leave but this is definitely a physical bike to ride. Wind protection is OK; the screen is electrically adjustable but, with my height, I never felt I could find that compromise in settings that worked for me. The riding position is on the sporty side of touring but is comfortable enough, with plenty of legroom and the pillion gets a decent throne as well. 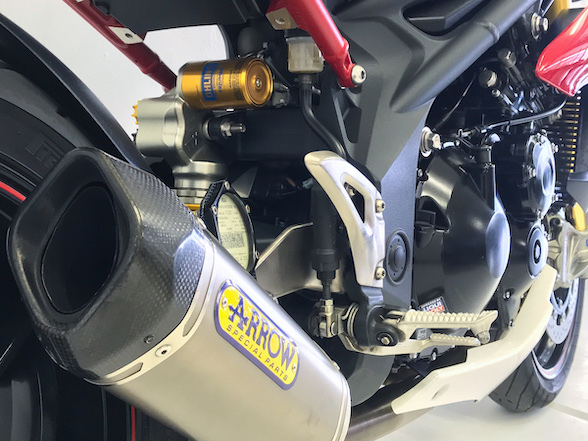 What is more concerning is the amount of heat the engine pumps out onto the legs when riding slowly through traffic; a 1400cc four-cylinder engine is always going to pump out a lot of heat and the GTR’s fairing does a bad job of dissipating it away from the rider. So far, so good; the 1400GTR is a mile-eater of great capability, with good comfort, a great engine, decent chassis and good ergonomics. And it looks fairly svelte and not too massive; it hides its bulk well and is definitely at the more sporting end of the touring class. 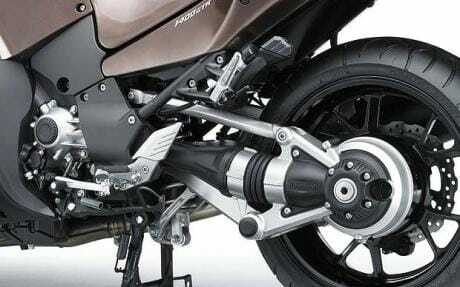 But it’s what is missing that defines this bike more than anything. It’s a slightly sad reflection that we can dismiss bikes that once were perfectly acceptable simply because they don’t have the electronic baubles that progress in technology has allowed and which are appearing with greater profusion on bikes. 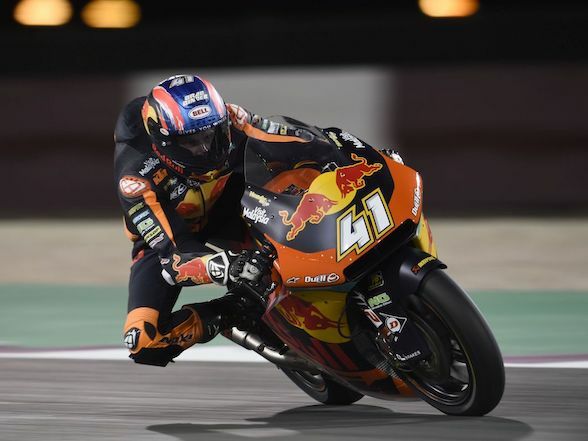 To not have them doesn’t make the bike a bad bike but it could certainly be seen to be lacking and this definitely plays against the perception that the bike can be any good. Which is massively unfair to the GTR but such is progress. The 1400GTR is relatively simple. 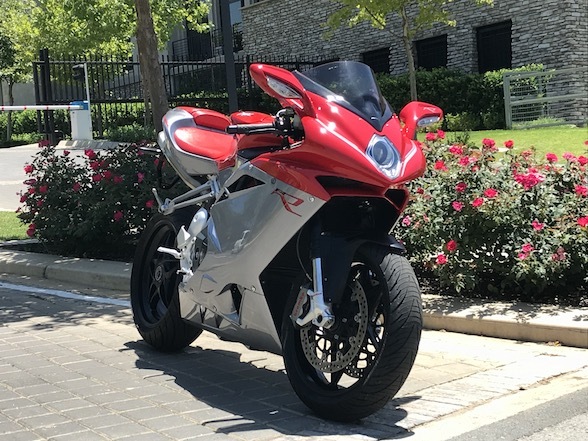 There’s no electronic suspension adjustment, no ride-by-wire throttle and therefore no rider modes, no cornering ABS or adaptive xenon headlights. More annoyingly, there’s no cruise control and, to my mind, that is a serious omission and one that’s not in keeping with a touring bike where anything that can be done to reduce rider fatigue is essential. There’s no GPS preparation or Bluetooth capability either which in itself is not a deal breaker but only goes to swing the needle towards the opposition. So, it’s a bit of a dinosaur but does that mean it’s no good? No, of course not. Ten years ago this would have been perfectly acceptable as a touring bike option and it still is, unless you have been caught up in the whole electronic revolution and have to have all the toys on your bike, whether you understand them or not. 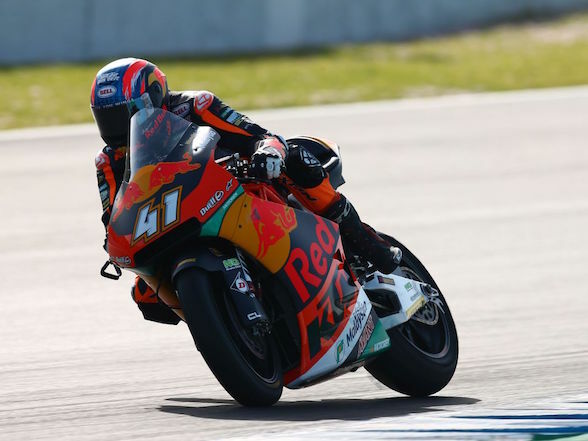 To some, the lack of complication will be a bonus – less to go wrong after all – and, if the price is right, then Kawasaki has a rightful place in the touring class with the GTR. 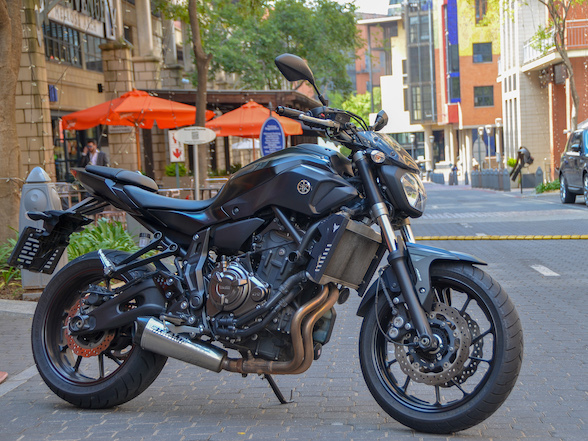 As it stands, the GTR comes in at R229,000 which is significantly less than the BMW K-series or full-house Harley Davidson tourers, not to mention the Honda Goldwing and the touring Indians, but those last three mentioned are monsters and cannot match the Kawasaki in terms of riding dynamics. 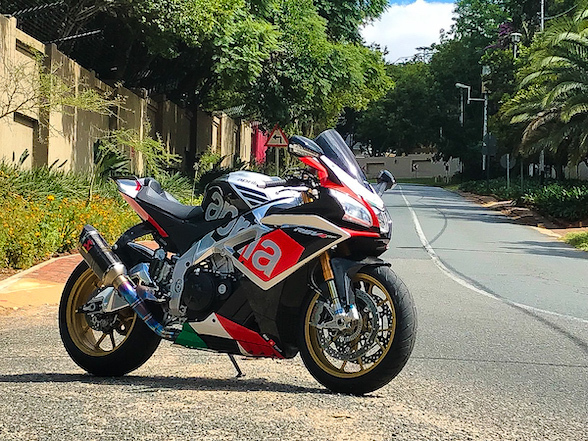 Touring models such as the Triumph Trophy SE (not currently available in this country) or the BMW boxer-engined R1200RT are more in the GTR’s league and it might be that the GTR is just too expensive when compared to those better-equipped bikes. 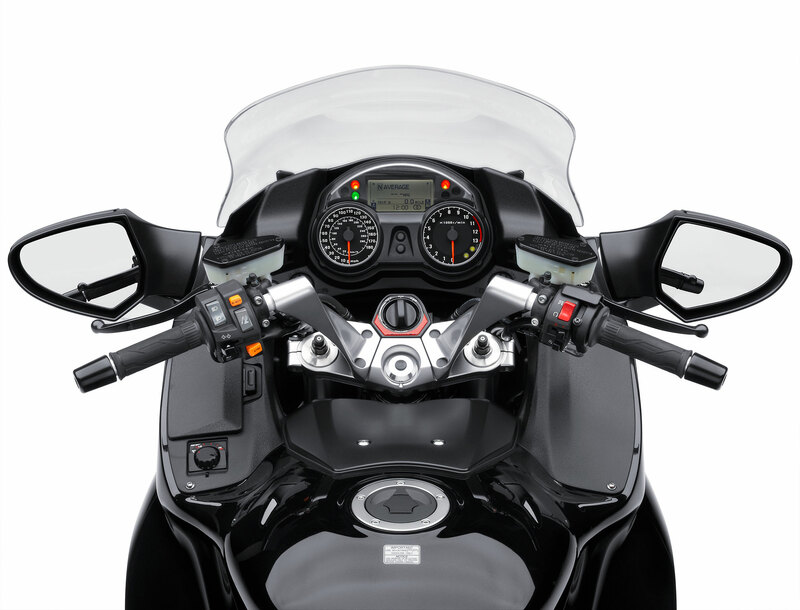 It’s difficult to understand why Kawasaki have chosen the simple path for its large touring bike, when other models in their range – the H2 and ZX10R, for example – have shown that the company lacks nothing when it comes to innovation and adoption of current trends in electronic sophistry. Maybe this is the last hurrah for the GTR before the touring version of the H2 – the H2SX – arrives later this year. If it is, then with the demise of the GTR, the last of the Japanese dinosaurs will become extinct.